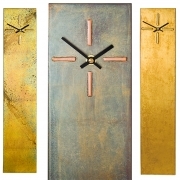 An interesting combination of clean, simple, geometric form and my new contemporary gilded finishes give these beautiful rectangular clocks immense appeal and make them one of my best selling wall clocks. 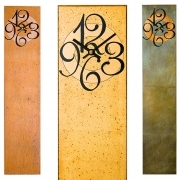 If you click on any of the rectangular clocks below you'll see how the colouration subtly differs from clock to clock making each rectangular clock a unique piece of wall art. 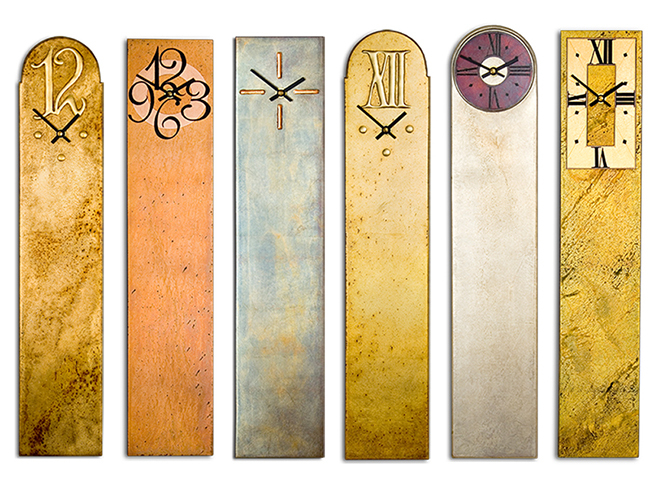 The rectangular clocks below are grouped by the different dial options I offer. 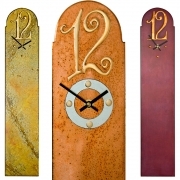 Click on the type of dial that you are interested in to see these clocks in their different finishes and obtain further information. Unfortunately you will not be able to see how the unique reflective qualities of our gilded finish cause the colour, tone and mood of the contemporary wall clock to subtly change, according to the angle it is viewed from and the ambient light it's viewed in. As you select a finish from the Finish Pallet the screen will change to show the six different rectangular clock dials in the finish of your choice. 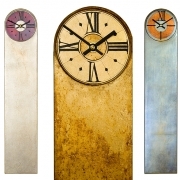 The choice of dial gives the resulting wall clock either a traditional or modern clock look enabling them to complement a wide range of interiors. 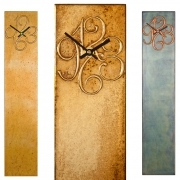 The right size rectangular wall clocks for you. 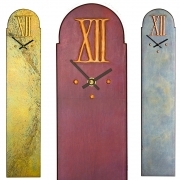 As handmade clocks the rectangular wall clocks can be made to the size and proportions you require -if our standard sizes; 530, 630 or 730mm are not suitable. You can get the prices and further information by clicking down to the individual artefact page for the rectangular wall clock of your choice. 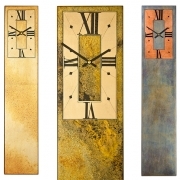 You'll also be able to see more detailed pictures of the contemporary wall clocks so you'll get a clearer idea of the true quality of our gilded clock finishes.